Whether it is hot and humid or snowing and cold, I enjoy training outside at least once a week. 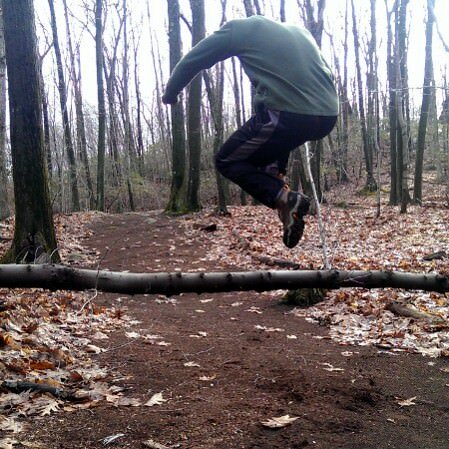 We run, perform calisthenics, lift stones and logs, and climb trees and ropes. I not only enjoy the fresh air and scenery but also the creative process involved in turning the world around us into a functional gym. So much can be accomplished by simply pushing yourself with whatever can be found around you. As evident below, a state of the art facility is everything but necessary for a challenging and effective workout. Lifting, carrying, and throwing heavy stones is a tremendous way to develop real world strength. 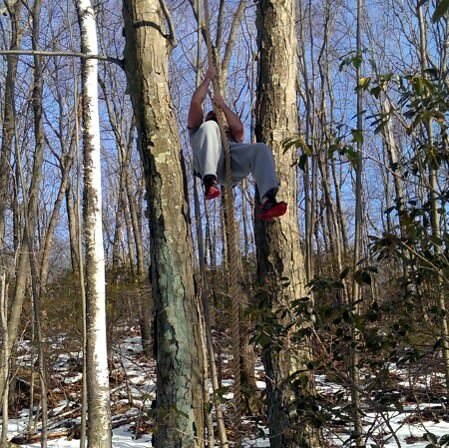 Pull-ups from thick tree branches will strengthen the hands unlike any conventional gym exercise. Few conditioning routines are as enjoyable as running hills and trails throughout the woods. 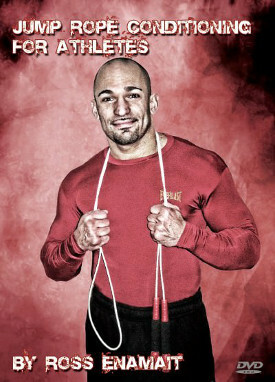 Rope climbing is yet another tremendous pulling exercise with obvious lower arm benefits. Clearly, these are just a few of countless outdoor exercise options. I have discussed several others throughout this blog’s history. For example, the video below includes random footage taken over the past few months. As evident throughout the pictures and video above, I make the most of whatever is around me. 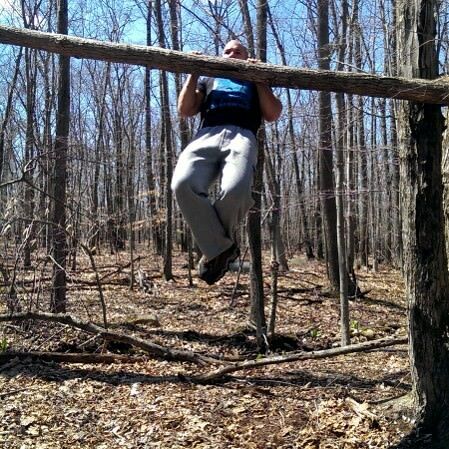 I truly believe that I could train effectively in any environment. Whether I am in my front yard, lost in the woods, or stranded on an island, I will find a way to exercise. I do not need any particular piece of equipment and that’s a message I have consistently delivered for many years. Yet, whenever I stress the potential of simple and intense routines, I find my inbox filled with questions about sets and reps. If I had a nickel for each time someone asked what routine I follow when I am outdoors, I would be a rich man. Unfortunately, I do not have quality answers to those questions. One of the reasons that I enjoy outdoor training is that I am free to do whatever I wish. If I want to run, I run. If I want to stop and lift a rock, I will stop and lift a rock. I do not need to perform three sets while someone looks on and waits for a turn on the bench. I also do not follow any particular rep range when outside. I train based on instinct. For example, no one tells me when I am hungry or thirsty. I just know. My body tells me. I follow a similar approach when I am outside. I do not need a paper routine to tell me that my legs are tired from running hills. My body will tell me and I’ll know it is time to transition to something else. Perhaps I will switch to pull-ups from a tree branch. Once my hands are fatigued from the thick branch, I will also know. I may go back and run a few more hills, or maybe I will lift and throw a heavy stone. Whatever I am doing, I will push and apply myself with the same intensity I bring to the gym. Once I have worked for an hour or so, I wrap things up and conclude the workout. I won’t know how many sets or reps I performed of any specific exercise, but I will know that I worked hard. I won’t know the weight of the stones that I lifted, but I will know that they were heavy enough to challenge me. I won’t know the length or grade of each hill that I ran, but I will know that they were far and steep enough to fatigue me. And as crude as such a routine may sound, it provides a much needed break from more traditional and structured work. I say this not to suggest that everyone follows my approach, but instead to highlight some of the reasons that I train outdoors. The freestyle nature of such work has proved quite beneficial for me over the years. Training outside without specific parameters allows me to stay fresh both physically and mentally. In summary, there is nothing wrong with performing a specific routine, but there is more to training than blindly following what is written on paper. As you gain experience, you begin to know better than anyone what your body can handle. When your body provides real time feedback during a session, you will know what it means and how to proceed accordingly. If you haven’t trained outside before, I encourage to get up, get outside, and use the world around you. You’ll quickly realize that you do not need anything fancy to achieve a quality workout while enjoying the fresh air around you. My favorite way to train. I started out like so many others by following basic “bodybuilding” workouts in the gym. Most of my running was done on tracks or streets, running trails are always tougher, even if there are no hills. Wish I would have devoted more time to this type of training years ago. I, as you, believe that you can get in good shape by using the world arounbd you as a gym. And I have done so on many an occasion. But I still have questions I need to find answers to, especially this one; How do you effectively train the lower back outside, without deadlifts? Hey dude. Cradle a rock or something else heavy. Lean over with straight legs and do good mornings or load it onto your shoulders and do them. Find an even heavier rock, or something else heavy, and “deadlift” it from the ground. Seriously. There are endless possibilities out there. once again a very motivating article, thanks ross. 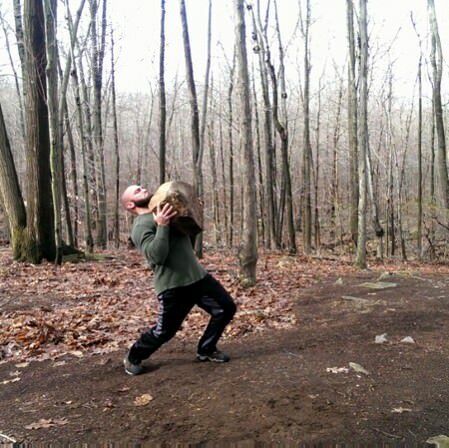 my training partner and i started out ‘outside’ in the elements with a few basic exercises and a kettlebell. it has now progressed to hill sprints ,sled drags ,bodyweight stuff, sledgehammer slams and various other things!! we make time to get out into the elements ,it is a great way to train!!! What I like about this sort of exercise is that I don’t get obsessed about “FORM”. I used to worry a lot about FORM when I first started squats etc, but if you lift a concrete fence post or a log there is no real “form”, you just have to lift it! Hey Ross, thanks for this post. Posts like these help me to rediscover the joy and play aspect of training. Loved this post Ross ! There is nothing like training outdoors….you are just limited by your imagination ! I left the UK and moved to Central Portugal a few years ago leaving behind my set of weights and bench. Now I have no gym space to speak of, atleast not in the tradtional sense. But I have plenty of trails to run on, some hills for intensity, an olive tree to hang my punch bag, a hole in my ceiling to put my bent and rusty pull-up bar and there’s always space for push-ups and sit-ups. Love your style of training and truly believe in everything you do. You really are a cyborg ninja !!!! Keep up the good work you inspire me daily. Thank you. Much love from NYC. Also started to use the similar principles as you, about 2 y. ago. Some of my fondest memories of training are from my LDS mission. I didn’t have access to weight except for two kettlebells a 35 pounder and 50 pounder and a pullup bar. I would do the wrestlers bridge for time, do presses and squats, weighted pullups and chinups, plenty of handstand pushups with chairs against the wall, one arm pushups, situps etc. I thought I was out of shape at the end of those two years, but thankfully I wasn’t. Simple exercises will take you a very, very, very long way. Wow, Inspirational stuff ross. I really liked this quote. Hey ross, what type of footwear are you wearing when running in deep snow? Good stuff btw champ, always an inspiration. @Harry – I don’t have anything fancy as far as boots. I just make sure that they are waterproofed. I also prefer higher boots for deep snow. If it is real cold, I will also double up my socks. It can also be useful to tuck your pants inside the high boot (in high, soft snow). The best thing about unscripted outdoor workouts is that starting is easier. Starting both in the sense of the individual workout and in the sense of getting in the habit of working out. Too often, for too many people working out is a drudgery so they either never begin or start then stop and achieve no consistency. On days where I am sore or tired or just older I will go outside and pick up one of my assortment of rock and throw it. That feels good. It feels good physically and emotionally. In a bad mood or pent up? Throw a big rock at a tree or a stump; very satisfying to hear that thud. Makes you want to pick it up again and fling it at something else. Then you kind of say to yourself ‘well, I’m here, outside, and I’ve picked up something heavy already. I could do two more minutes of this’…or five more minutes, or twenty. It doesn’t matter because you are already out front of sitting around; and it’s consistency that matters.